The Elderberry Harvest has begun and this year the bushes are drooping with dark berries! Last year I made a huge batch of Elderberry/Raspberry Mead, canned peaches and raspberries together, and made lots of Elder Syrup. 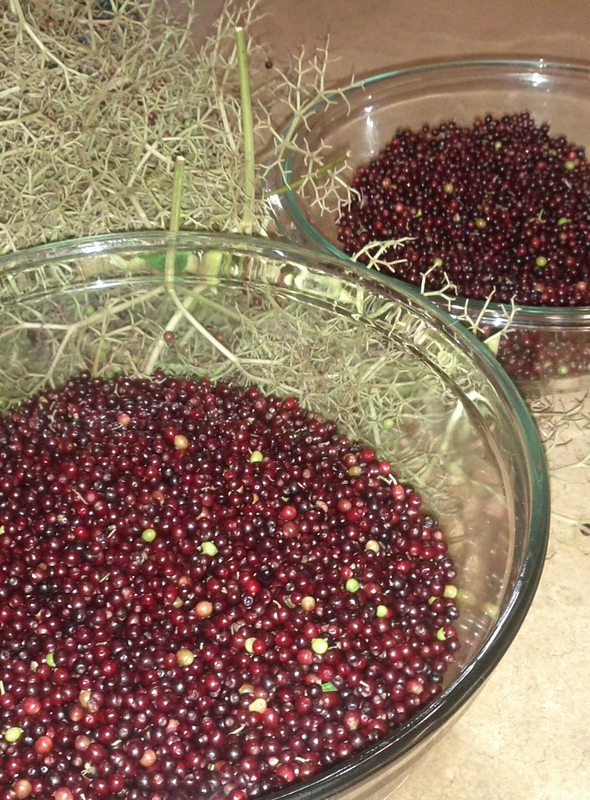 What are your favorite things to do with elderberries? Any fabulous pie recipes out there?